Andrea is a cellist and Suzuki trained teacher with degrees in performance from Indiana University and Cleveland Institute of Music. Her favorite and most influential teachers have been Janos Starker and Nathaniel Rosen. Over the years she has enjoyed a variety of musical activities ranging from playing with The Who, LedZeppelin and Johnny Mathis to touring Europe with the Schleswig Holstein Musik Festival Orchestra and the Robert Shaw Institute in Souillac, France. Mrs. Kelley completed Suzuki teacher training, books 1 through 8, in Chicago, IL and Ottawa, KS. She founded and directs the Jack and Jill Strings which performs yearly at the Martin Luther King Jr. Memorial Community Program in Johnson County. A member of the Suzuki Association of the Americas and Secretary of the Heart of America Suzuki Association, Mrs. Kelley is a frequent adjudicator of solo and ensemble competitions and clinician at local schools and youth symphonies. 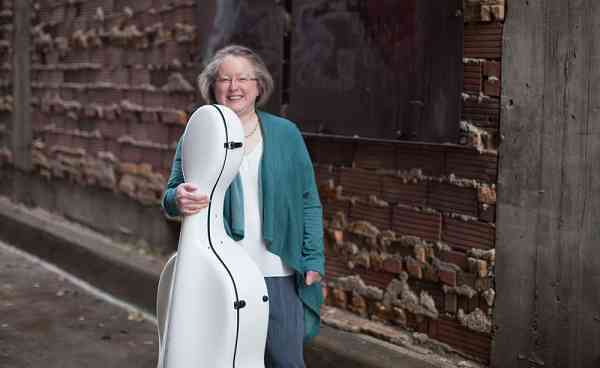 She teaches at Ottawa Suzuki Strings in Ottawa, KS and at her home in Lenexa, KS. Andrea is a Suzuki parent to two, a violinist and a cellist.